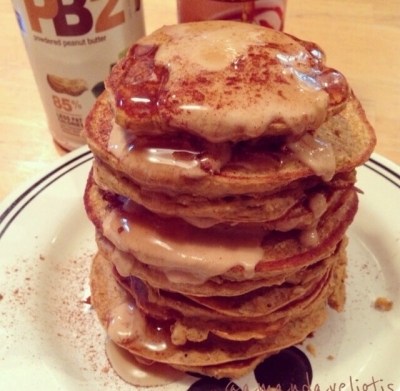 A high carb gluten free pancake recipe for them refeed days or if your down with the carbs! Mix the ingredients in a blender and pour the mixture onto a heated greased skillet in circular disks. I added maple extract to the recipe as well! (Could not find it on the ingredients list on here). I topped mine with pb2 and walden farms pancake syrup. Enjoy!